Welcome to Pelican Pest Control! Our unique three stage pest treatment process ensures your pests are eradicated in a safe and reliable manner. Our aim is to give you complete peace of mind before you invest in your new home. Only the most thorough and comprehensive inspection by Licensed pest control technicians can give you this. We are experienced commercial pest control experts, advising all types of companies on their pest control problems. Our Licensed pest control specialists will give you the right advice every time. Pest infestations can lead to food contamination, wastage and costly repair bills as well as fines from health departments and local governments. If you're after professional, experienced pest controllers in Newcastle, Port Stephens, Maitland, Lake Macquarie, Central Coast or the entire Hunter Valley - Trust Pelican Pest Control to get the job done efficiently and at the right price. 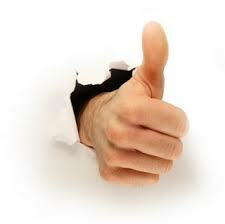 "We were very impressed with the friendliness of the staff at Pelican Pest Control. From the ladies answering the phones, to the guys who sprayed our house - They were all brilliant. You can't beat efficient work at the right price. We're very happy and would definitely recommend Pelican Pest Control." What Suburb Are You In? "Shayne & the team are super reliable pest controllers. Nothing is a problem for them and we would not consider another company for our property pest inspections"
We have local pest control professionals serving all suburbs within Newcastle, Port Stephens, Maitland, Hunter Valley, Lake Macquarie & the NSW Central Coast.